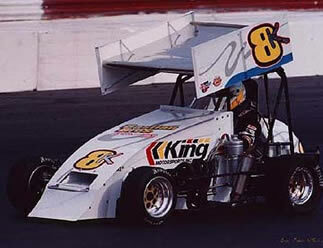 King Motorsports is a Western New York (Rochester area) based manufacturer and fabricator of 600 cc and 270cc mini/micro sprint race cars and parts. 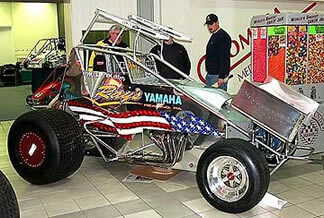 We also provide fabrication and machine shop services for all your racing needs. Our business goal is to provide our customers with the best race car available (including affordability, performance, and safety), parts to maintain your race car, and technical expertise to get you in the winner’s circle. During owner Gary King’s 30 year involvement with racing, he has built, raced, or worked on dirt late models, dirt and asphalt modifieds, sprint cars, mini sprints, midgets, and micro sprints. This vast range of experience allows him to know every aspect of the business, from which tires to use on a dry slick dirt track to how much stagger a midget should have on an asphalt track. His experience and knowledge can help you to achieve success in whatever class you race. Gary has had many well-known racers drive for him, such as Ray Bull, Lance DeWease, Tim McCreadie and Bryan Clauson. When you do business with King Motorsports you get a top of the line race car and technical support from a knowledgeable professional at an affordable price. When you work with Gary King you will find few who have his knowledge on set ups for just about any kind of race car. 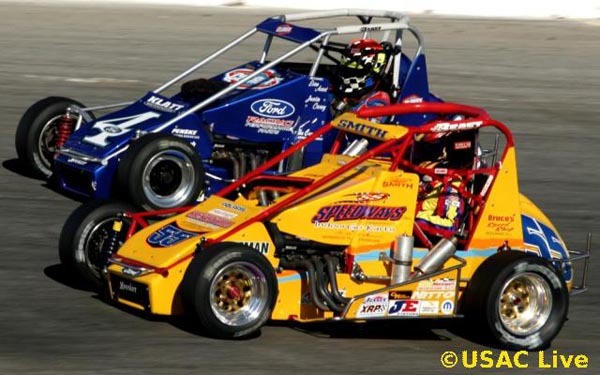 USAC Ford Focus Championships in one year. 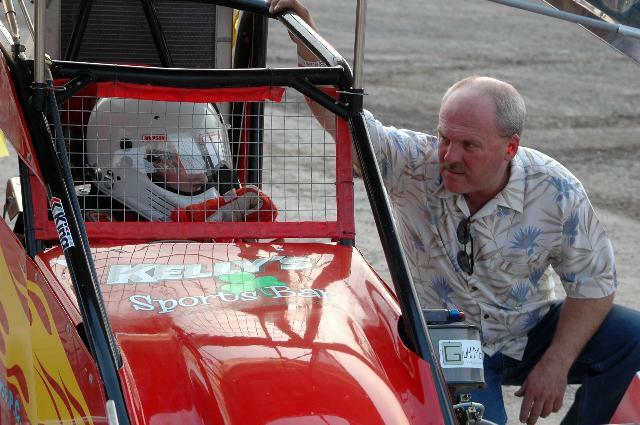 Gary listening to Parker Evans after a heat race at Weedsport, NY in August of 06. A high speed third mile track in New York that the 600's only see two or three times a year. Parker was our most improved driver of the year in the 600 open class at age 14.